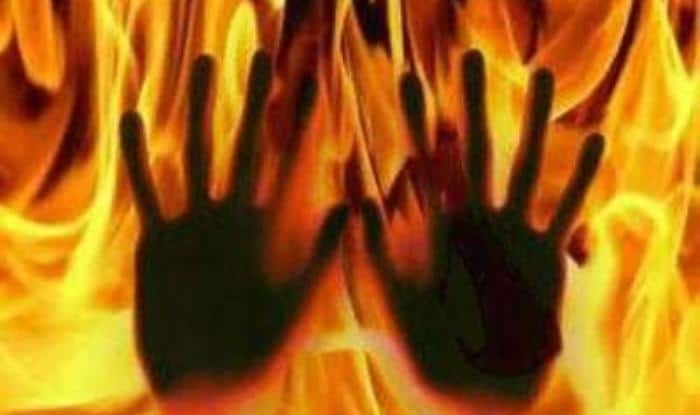 A one-and-half year old girl succumbed to her burn injuries on Friday due to negligence of a doctor in Bhopal government college and hospital. Bhopal: A doctor at the Bundelkhand Medical College Hospital was suspended on Sunday after a video, where she is asking the parents of a burn victim to arrange for a ventilator costing Rs 1 crore themselves, went viral. Dr Jyoti Raut was suspended for negligence by divisional commissioner Manohar Dubey, a government spokesperson said. The burn victim was a one-and-half year old girl, Anshika Ahirwar, who succumbed to her injuries on Friday. Reportedly, Anshika was rushed to the hospital on Friday morning after she fell into a pot of hot boiling water. At the Bundelkhand Medical College Hospital, she was pronounced to have suffered 70 per cent burn injuries. Her condition began to deteriorate in the afternoon, her father Devendra Ahirwar said, alleging that no doctor was present in the ward then. Dr Raut came to the ward after some time and told him that his daughter needed to be put on a ventilator, but the burns department of the hospital did not have one, Ahirwar said. When the family insisted that a ventilator should be arranged somehow, the doctor allegedly asked them to get one themselves, saying “it costs Rs 1 crore”. Meanwhile, College’s dean Dr G S Patel on Sunday said that a ventilator was available in the ICU where the patient could have been shifted. “We are conducting an inquiy. I was out of town. I am not aware of what transpired between patient’s family and the doctor,” the dean said.